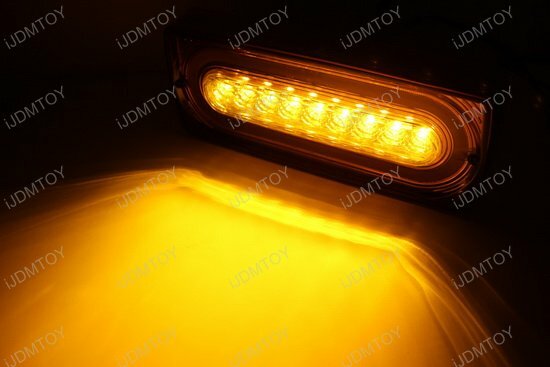 Q: Will this LED turn signal/taillight assembly fit my car? 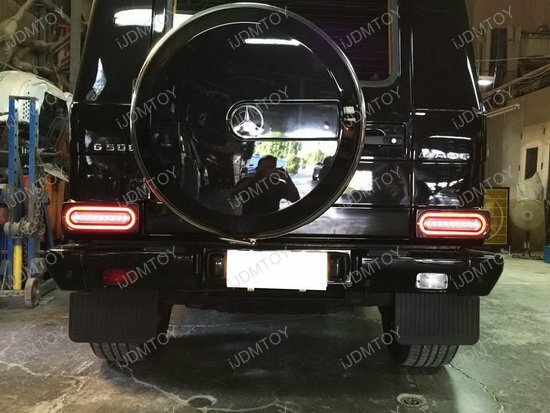 A: This full LED turn signal/tail lights will only fit 1999-2018 Mercedes W463 G-Class G500 G550 G55 G63 AMG. A: There is no modification required for installation. Installation is a direct replacement and the LED assembly comes with resistors so you won't get a bulb-out warning or experience hyper flash. 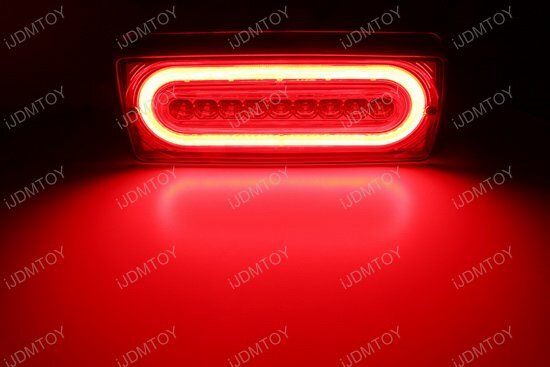 Q: What makes this iJDMTOY Mercedes G-Class LED taillight assembly different from all the other generic styles on the market? 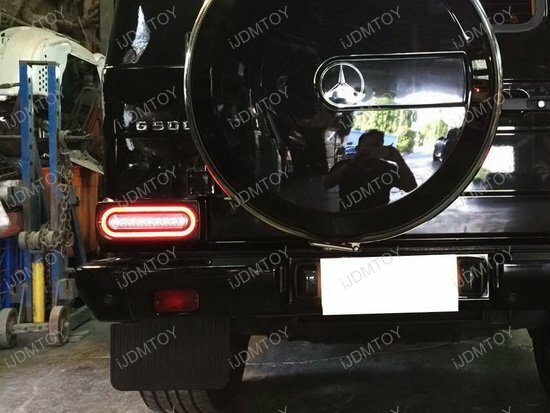 A: iJDMTOY's exclusively designed Mercedes G-Class LED taillight/turn signal light assembly transforms the rear of your G-Class to have the same continuous lighting output just like the all new Mercedes models. 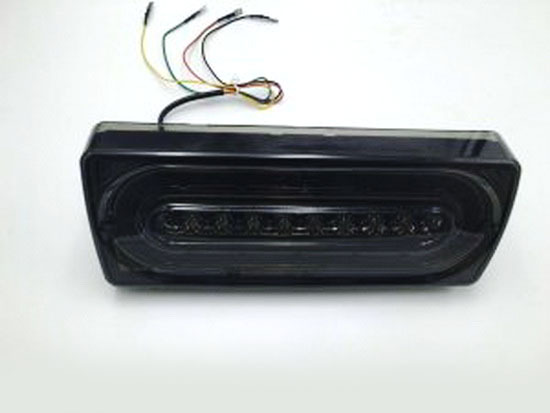 Q: How do I install the LED taillights? Step 1: Unscrew the bolts on your stock tail light lens using a screwdriver. 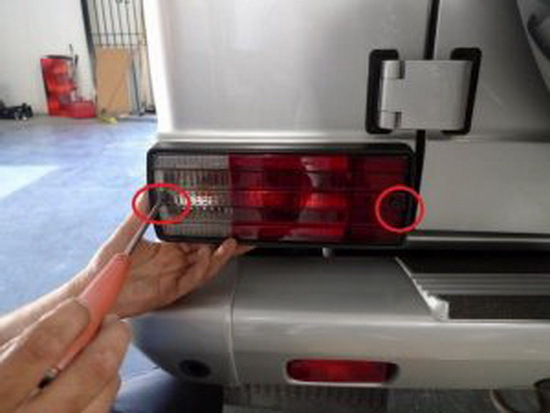 Step 2: Unscrew the black base plate behind your stock taillight. Step 3: Remove the factory bulbs from the tail light assembly. 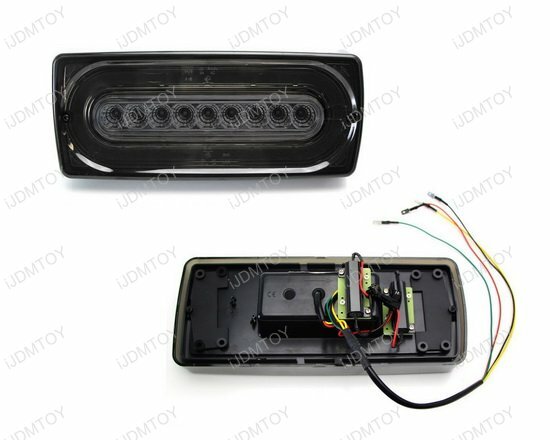 Connect the the wires from your new LED turn signal/tail light accordingly. 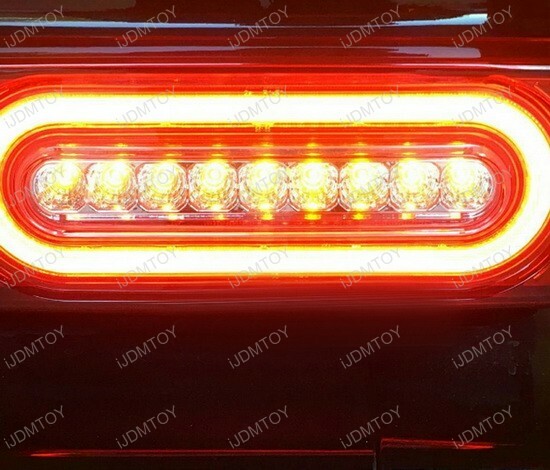 Test your LED taillight for functionality. Step 4: Install the included base plates over the LED taillight. 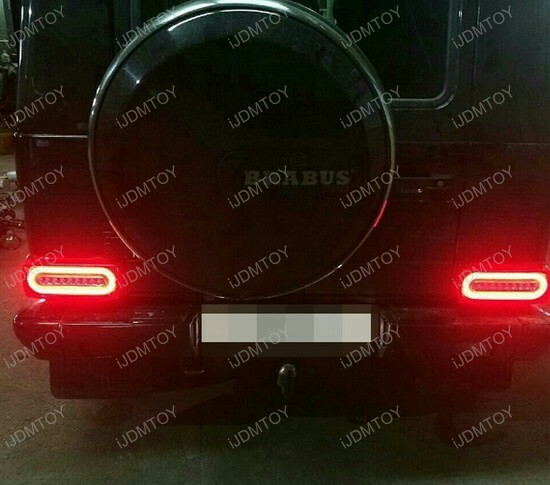 You can now enjoy your new LED turn signal tail light for your Mercedes-Benz G-Class! Q: How do I mount the brackets for the Mercedes G-Class LED taillights? 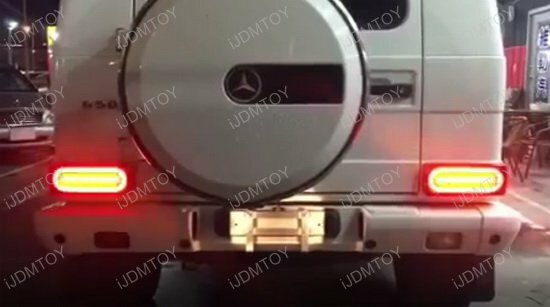 A: The brackets will be directly mounted onto the G-class tail lamp location and then used to secure the new LED taillights via the holes on the edges of the bracket. 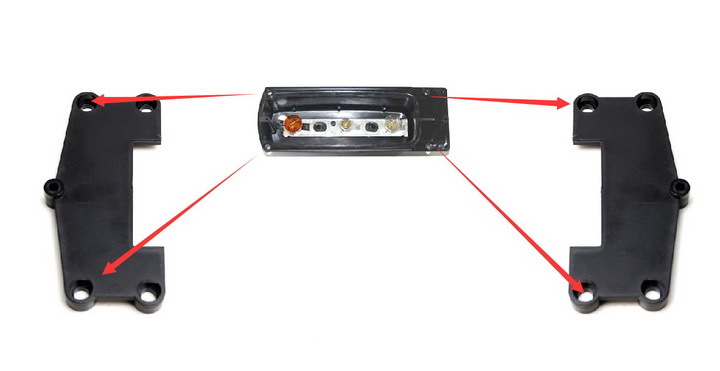 After you take off the tail lamp housing lens, you will see the exposed bulbs, as well as the mounting locations used to secure the tail lamp onto the vehicle. 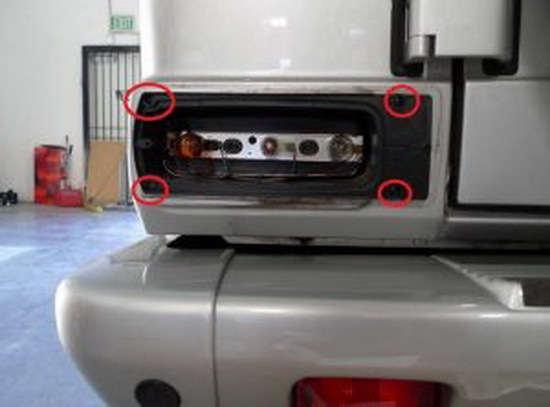 Notice that the holes are positioned in a way so that they are towards the curved end of the tail lamp assembly. Because of this design, you will be securing the mounting brackets on the same holes: two on the outer holes for one bracket, and two on the inner holes of the other bracket. 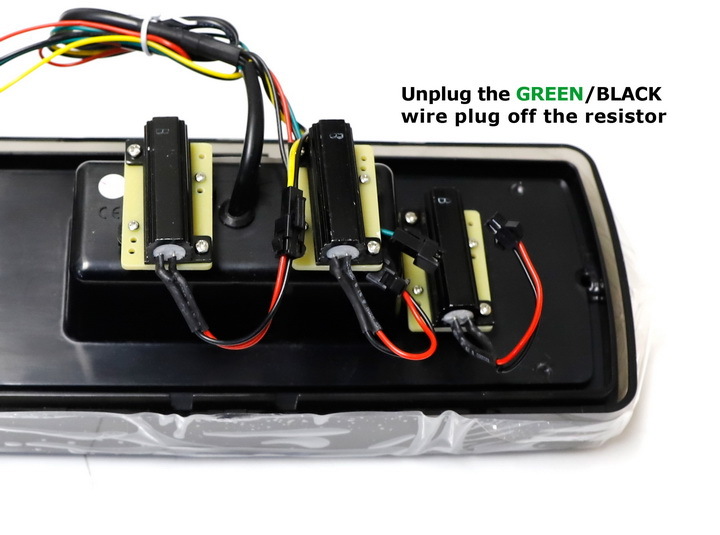 Q: How do I connect the wires to power up the Mercedes G-Class LED taillights? 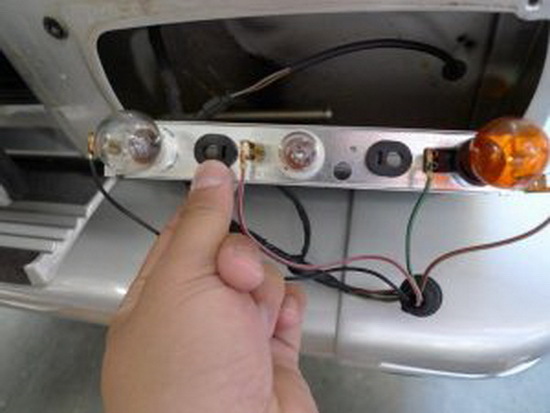 Make sure to connect the wires before bolting the LED taillight assembly back onto the G-Class. 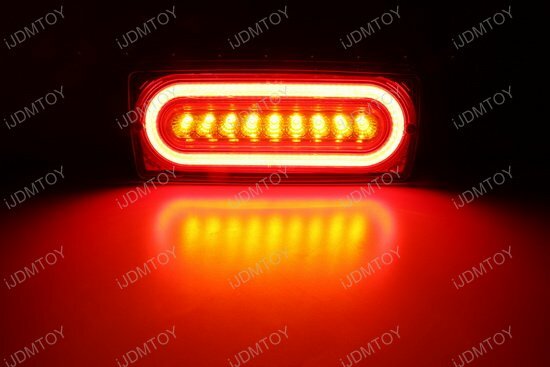 Q: Why is the dimming function in my Mercedes-Benz LED tail light assembly not working properly? 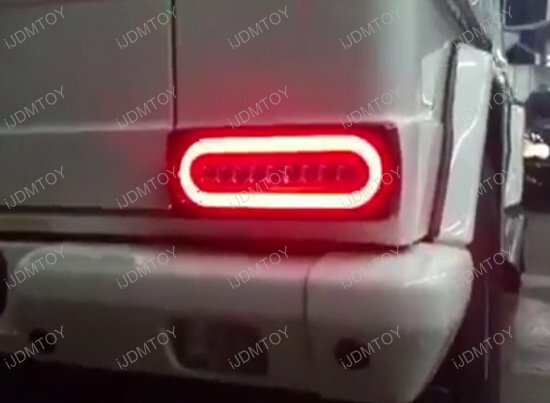 Q: Will these Mercedes G-Class LED tail lamps trigger error message or cause hyperflash? 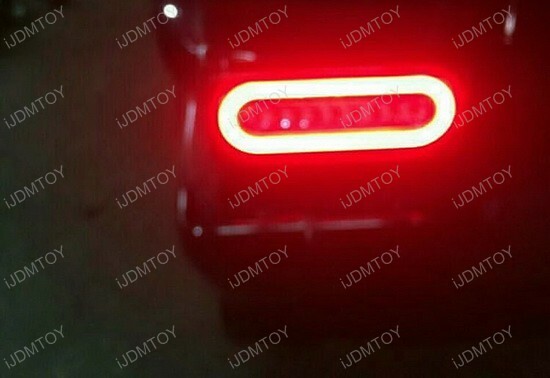 A: These Mercedes G-Class LED tail lamps have built-on load resistors so there won't be error messages or hyperflash. 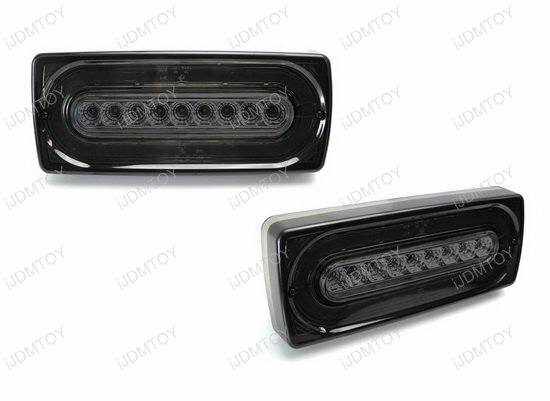 This page features a complete set of LED taillights with turn signal for the 1999-2018 Mercedes G-Class G500 G550 G55 G63 AMG. 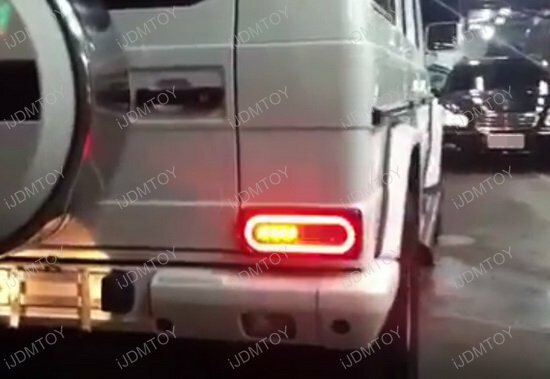 The Mercedes G-Class is probably one of the most iconic and classic Mercedes models to date, undergoing some significant updates over the years, but it seems like they have neglected to upgrade the entire rear of the G-Class. 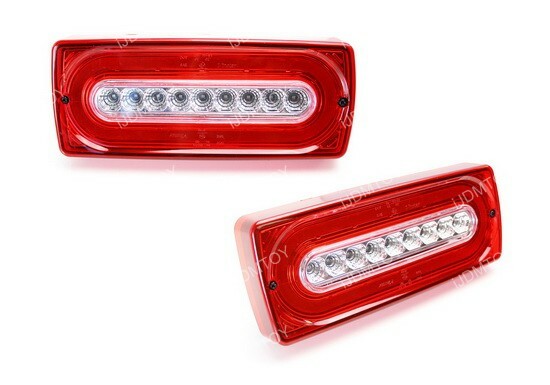 You can easily bring your old school G-Class tail lamps up to date with these LED taillights, which features a gorgeous fluid LED tail/brake light with continuous output, complete with a LED cluster for turn signal function. 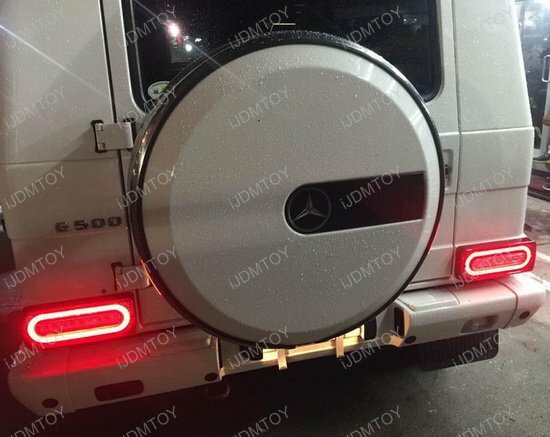 iJDMTOY's exclusively designed Mercedes G-Class LED taillight/turn signal light assembly transforms the rear of your G-Class to have the same continuous lighting output just like the all new Mercedes models. 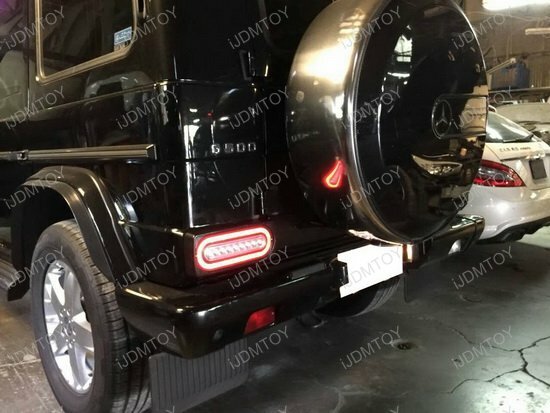 Your G-Class deserves the finest LED taillight/turn signal assembly with the most alluring style, so only the best will do. Installation is a direct replacement, with resistors included with the assembly so that you won't have the bulb-out warning or experience hyper flash. Your package will also include wiring labels that we HIGHLY recommend using so that you don't mix up your wires during the installation.